Coffee? Tea? Cocoa? You decide! We’re getting mad this month on Crazy Good Parent, exploring what sets us off about being and living neurodiverse in our society. Tomorrow, Human In Recovery writes about how Hollywood portrays people with mental disorders. Be sure to tune in for that. Next week, we’ll hear from W.T.F words. thoughts. feelings. about shame. Shame is so deeply burrowed in the way our society views mental health that many of us internalize it, making our journey that much harder. I’m also hoping to get mad funny. I’ll be thinking, and writing, about mental health humor. Send me links to comics, jokes and memes you think are really funny—or really NOT funny. Let’s see what’s out there. And don’t forget to get a Crazy Good Parent mug. 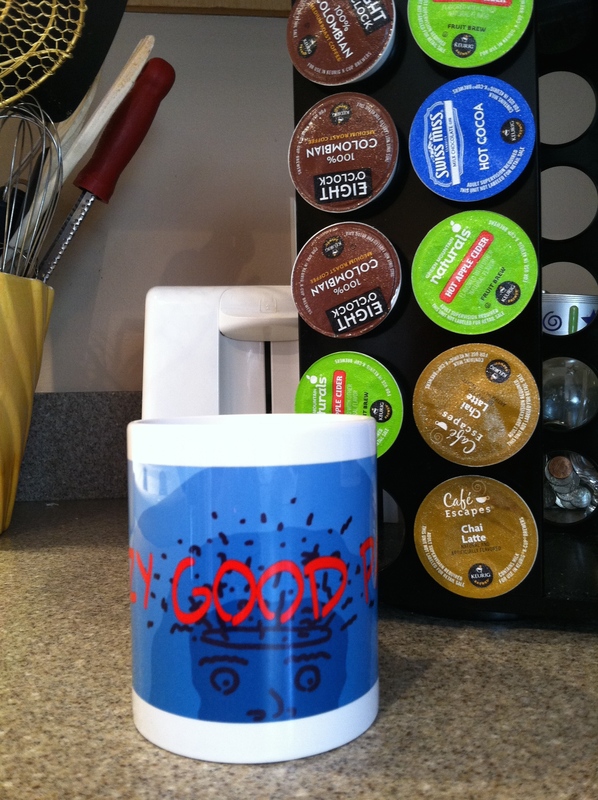 Just contribute a post and you get a generously sized mug emblazoned with the Crazy Good Parent logo. Contact me at crazygoodparent@comcast.net for details. You want it, right? So write again. Something on handling issues in some physical way? I’ve got a yogi writing for May. Or, maybe someone on family for June? Your choice!